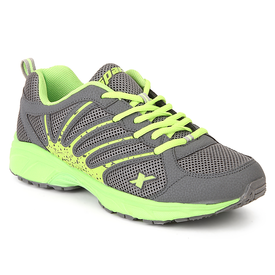 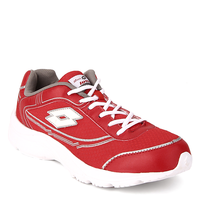 A perfect pick for your daily jogging sessions is this pair of grey running shoes from Sparx. 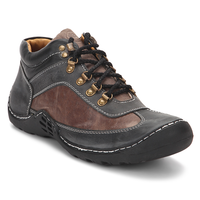 While the synthetic and mesh upper of these men’s shoes promises breathable comfort and a lightweight pick,Final- the rubber sole ascertains good grip,Final- cushioning and flexibility. 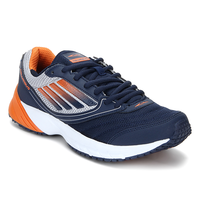 A perfect pick for your daily jogging sessions is this pair of grey running shoes from Sparx. 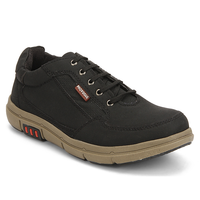 While the synthetic and mesh upper of these men’s shoes promises breathable comfort and a lightweight pick,Final- the rubber sole ascertains good grip,Final- cushioning and flexibility.